“How do we speak of God in our times? How can we communicate the Gospel to open the way to its salvific truth? ...and, well, feel free to Bring Your Own Caption. 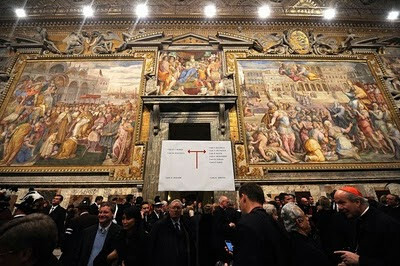 Even if Consistory Time always makes for a shutterbug's paradise, the snap above might just take the cake. Maybe it's just this scribe's own idiosyncrasy, but given the calendar's rhythm this year, hearing Christmas music around while we've still got another week of Ordinary Time ahead just feels odd, if not woefully inappropriate. Then again, today's feast might just have its way of coming to the rescue. As ever, but especially amid this weekend, buona domenica to one and all – safe and easy travels to those among us heading home... yet whatever your commute, hope the holiday's been a great grace and gift. 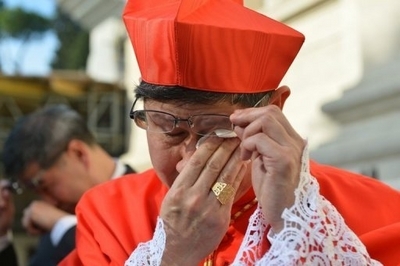 Even as the timing of another intake might've made for a surprise, it's fair to say this Consistory's safest bet was that, at some point, Chito Tagle would burst into tears. Put simply, as the system's roots date back some 1,900 years – and any thoughts of outliving it prove less a commentary on the needs of the church than the state of one's ego – highlighting what's good with what is and encouraging its spread tends to be a much healthier use of time. 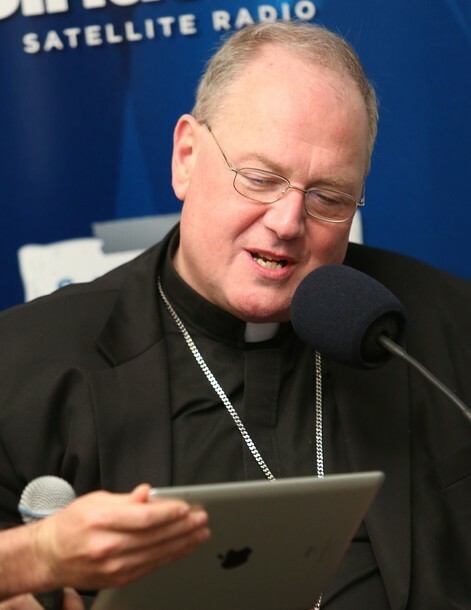 And when a figure who, as a bishop, has declined the use of a car in favor of buses and his bike, does his pastoral rounds alone and has repeatedly called the church to divest itself of arrogance is brought into the Papal Senate, many of today's supposedly "knowledgable" or "enlightened" criticisms and claims suddenly ring rather hollow, and could be deemed as willfully blind or even disingenuous. 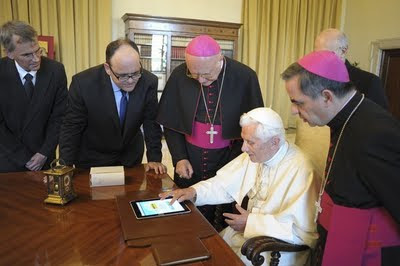 While "it is good to know that thousands and thousands 'like' him on Facebook," the cleric – for purposes of context, pretty firmly a man of the center – mused that "few outside of the Philippine community understand why so many don't just like" the new cardinal, "but love him, or [know] just what an extraordinary man he really is. Perhaps fittingly for an intake that was decidely Eastward-looking – or, as the Italians would have it, "soli stranieri" (read: "all strangers") – it bears noting that this morning brought the elevation of the youngest member of the Pope's Senate in the figure of the 53 year-old head of India's Syro-Malankara Catholics, now Cardinal Baselios Cleemis Thottunkal, shown above making the rounds following his induction. 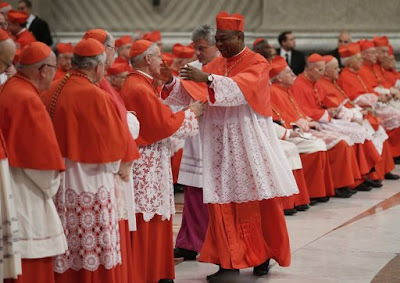 Only granted quasi-patriarchal status as a major archbishopric in early 2005, the first-ever red hat for the 600,000-member community comes as a rather rapid triumph on several accounts. 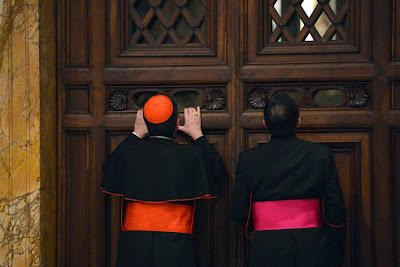 Over the last two decades, all of two clerics were younger still on entering the College: the Hungarian primate Peter Erdö (now head of the European bishops' conference) at 51 in 2003 and Sarajevo's Vinko Puljic, who John Paul II elevated at 49 in 1994 as the late pontiff's sign of solidarity with the war-torn city, to which he was unable to travel amid the conflict over the breakup of Yugoslavia. 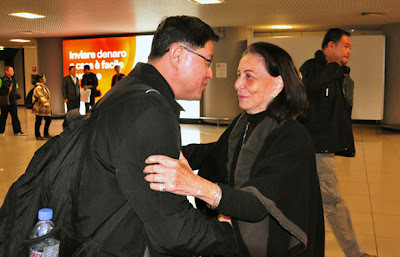 An alum of Rome's Angelicum – where he received his doctorate in ecumenical theology in 1997 – Cleemis is a full two years' junior to the next-youngest "prince" of the church, Manila's Chito Tagle, who was likewise created today. 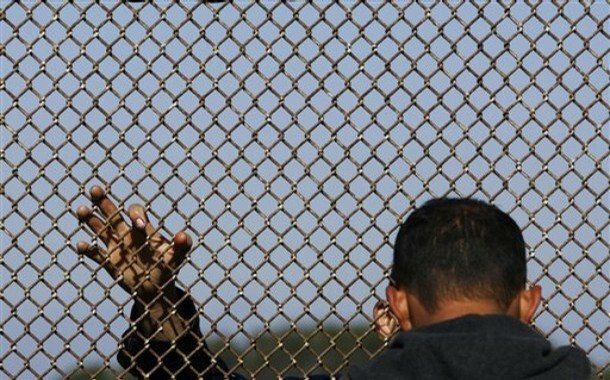 As previously noted, the "50 barrier" last broken by Puljic is next expected to lift in the mid-term future with the all-but-certain elevation of the leader of the largest Eastern fold: the major-archbishop of the 6 million-member Ukrainian Greek-Catholic church, 42 year-old Sviatoslav Shevchuk. 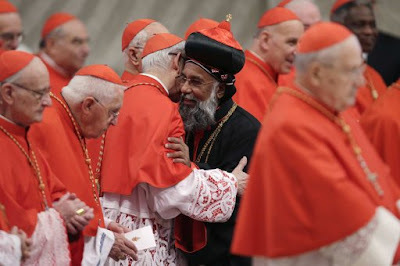 Not to be confused with the larger and more established Syro-Malybar Catholic community – which likewise traces its lineage to St Thomas – the Syro-Malankars' scarlet nod comes just on the heels of the church's establishment of a first jurisdiction outside their home-turf in India's Kerala state: an exarchate (vicariate) for the US, based on Long Island and led by a hierarch chosen by the body's Synod. 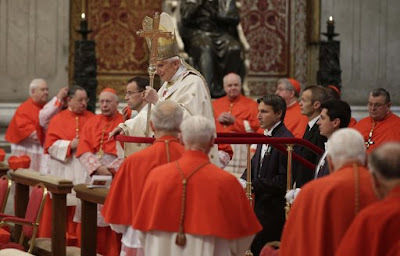 Thottunkal will offer his Qurbono of Thanksgiving tomorrow afternoon in the Basilica of Saints John and Paul on the Coelian Hill – the headquarters of the Passionists which, for seven decades until earlier this year, had been the titular church traditionally given to the cardinal-archbishop of New York. "A Variety of Faces... 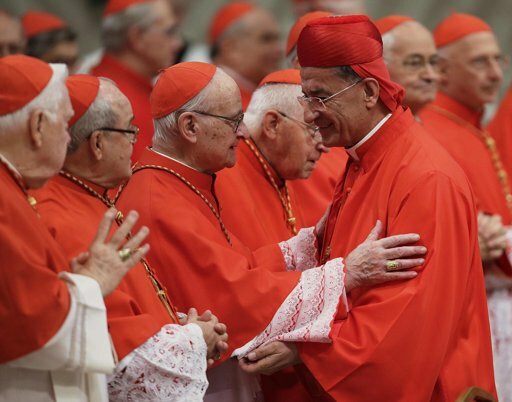 The Face of the Universal Church"
Here below, fulltext of the Pope's homily at this morning's public consistory for the creation of six new cardinals. 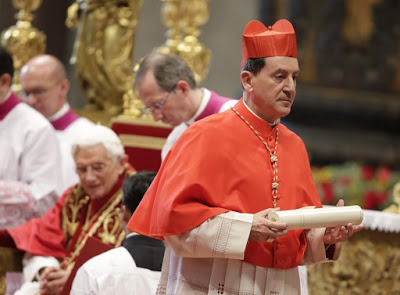 These words, which the new Cardinals are soon to proclaim in the course of their solemn profession of faith, come from the Niceno-Constantinopolitan creed, the synthesis of the Church’s faith that each of us receives at baptism. Only by professing and preserving this rule of truth intact can we be authentic disciples of the Lord. In this Consistory, I would like to reflect in particular on the meaning of the word “catholic”, a word which indicates an essential feature of the Church and her mission. Much could be said on this subject and various different approaches could be adopted: today I shall limit myself to one or two thoughts. 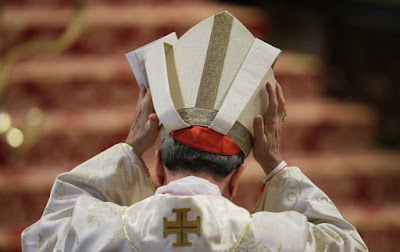 The characteristic marks of the Church are in accordance with God’s plan, as the Catechism of the Catholic Church tells us: “it is Christ who, through the Holy Spirit, makes his Church one, holy, catholic and apostolic, and it is he who calls her to realize each of these qualities” (no. 811). 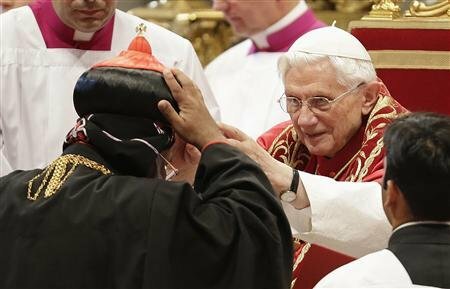 Specifically, what makes the Church catholic is the fact that Christ in his saving mission embraces all humanity. While during his earthly life Jesus’ mission was limited to the Jewish people, “to the lost sheep of the house of Israel” (Mt 15:24), from the beginning it was meant to bring the light of the Gospel to all peoples and lead all nations into the kingdom of God. When he saw the faith of the centurion at Capernaum, Jesus cried out: “I tell you, many will come from east and west and sit at table with Abraham, Isaac, and Jacob in the kingdom of heaven” (Mt 8:11). This universalist perspective can be seen, among other things, from the way Jesus applied to himself not only the title “Son of David”, but also “Son of Man” (Mk 10:33), as in the Gospel passage that we have just heard. The expression “Son of Man”, in the language of Jewish apocalyptic literature inspired by the vision of history found in the book of the prophet Daniel (cf. 7:13-14), calls to mind the figure who appears “with the clouds of heaven” (v. 13). This is an image that prophesies a completely new kingdom, sustained not by human powers, but by the true power that comes from God. 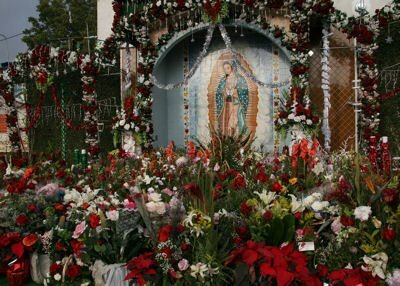 Jesus takes up this rich and complex expression and refers it to himself in order to manifest the true character of his Messianism: a mission directed to the whole man and to every man, transcending all ethnic, national and religious particularities. 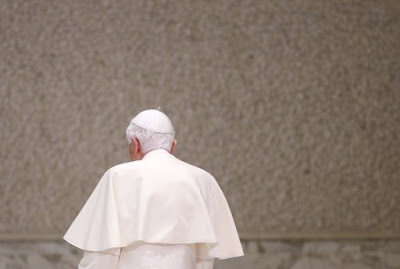 And it is actually by following Jesus, by allowing oneself to be drawn into his humanity and hence into communion with God, that one enters this new kingdom proclaimed and anticipated by the Church, a kingdom that conquers fragmentation and dispersal. Jesus sends his Church not to a single group, then, but to the whole human race, and thus he unites it, in faith, in one people, in order to save it. The Second Vatican Council expresses this succinctly in the Dogmatic Constitution Lumen Gentium: “All men are called to belong to the new people of God. Therefore this people, while remaining one and unique, is to be spread throughout the whole world and through every age, so that the design of God's will may be fulfilled” (no. 13). Hence the universality of the Church flows from the universality of God’s unique plan of salvation for the world. This universal character emerges clearly on the day of Pentecost, when the Holy Spirit fills the first Christian community with his presence, so that the Gospel may spread to all nations, causing the one People of God to grow in all peoples. From its origins, then, the Church is oriented kat’holon, it embraces the whole universe. The Apostles bear witness to Christ, addressing people from all over the world, and each of their hearers understands them as if they were speaking his native language (cf. Acts 2:7-8). From that day, in the “power of the Holy Spirit”, according to Jesus’ promise, the Church proclaims the dead and risen Lord “in Jerusalem and in all Judea and Samaria and to the end of the earth” (Acts 1:8). The Church’s universal mission does not arise from below, but descends from above, from the Holy Spirit: from the beginning it seeks to express itself in every culture so as to form the one People of God. Rather than beginning as a local community that slowly grows and spreads outwards, it is like yeast oriented towards a universal horizon, towards the whole: universality is inscribed within it. “Go into all the world and preach the gospel to the whole creation” (Mk 16:15); “make disciples of all nations” (Mt 28:19). With these words, Jesus sends the Apostles to all creation, so that God’s saving action may reach everywhere. But if we consider the moment of Jesus’ ascension into heaven, as recounted in the Acts of the Apostles, we see that the disciples are still closed in their thinking, looking to the restoration of a new Davidic kingdom. They ask the Lord: “will you at this time restore the kingdom to Israel?” (Acts 1:6). How does Jesus answer? He answers by broadening their horizons and giving them both a promise and a task: he promises that they will be filled with the power of the Holy Spirit, and he confers upon them the task of bearing witness to him all over the world, transcending the cultural and religious confines within which they were accustomed to think and live, so as to open themselves to the universal Kingdom of God. At the beginning of the Church’s journey, the Apostles and disciples set off without any human security, purely in the strength of the Holy Spirit, the Gospel and the faith. This is the yeast that spreads round the world, enters into different events and into a wide range of cultural and social contexts, while remaining a single Church. Around the Apostles, Christian communities spring up, but these are “the” Church which is always the same, one and universal, whether in Jerusalem, Antioch, or Rome. 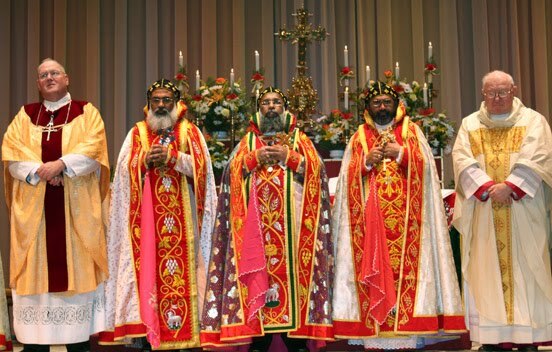 And when the Apostles speak of the Church, they are not referring to a community of their own, but to the Church of Christ, and they insist on the unique, universal and all-inclusive identity of the Catholica that is realized in every local church. The Church is one, holy, catholic and apostolic, she reflects in herself the source of her life and her journey: the unity and communion of the Trinity. 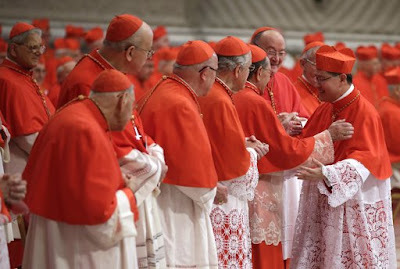 Situated within the context and the perspective of the Church’s unity and universality is the College of Cardinals: it presents a variety of faces, because it expresses the face of the universal Church. 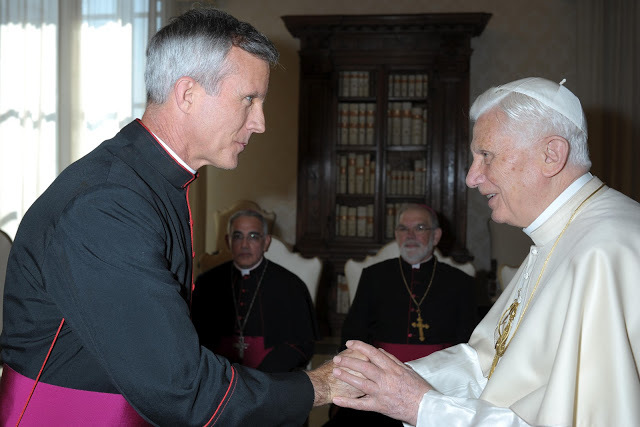 In this Consistory, I want to highlight in particular the fact that the Church is the Church of all peoples, and so she speaks in the various cultures of the different continents. She is the Church of Pentecost: amid the polyphony of the various voices, she raises a single harmonious song to the living God. I cordially greet the official Delegations of the different countries, the bishops, priests, consecrated persons, and lay faithful of the various diocesan communities and all those who share in the joy of the new members of the College of Cardinals – their family, friends and co-workers. The new Cardinals, who represent different dioceses around the world, are henceforth associated by a special title with the Church of Rome, and in this way they reinforce the spiritual bonds that unite the whole Church, brought to life by Christ and gathered around the Successor of Peter. At the same time, today’s rite expresses the supreme value of fidelity. Indeed, the oath that you are about to take, venerable brothers, contains words filled with profound spiritual and ecclesial significance: “I promise and I swear, from now on and for as long as I live, to remain faithful to Christ and his Gospel, constantly obedient to the Holy Apostolic Roman Church”. 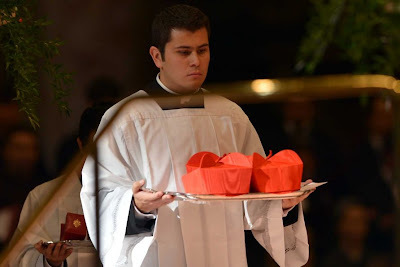 And when you receive the red biretta, you will be reminded that it means “you must be ready to conduct yourselves with fortitude, even to the shedding of your blood, for the increase of the Christian faith, for the peace and well-being of the people of God”. 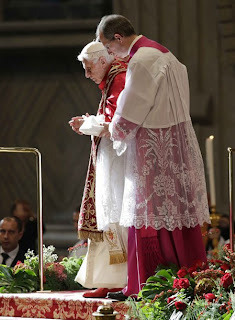 Whereas the consignment of the ring is accompanied by the admonition: “Know that your love for the Church is strengthened by your love for the Prince of the Apostles”. In these gestures and the words that accompany them, we see an indication of the identity that you assume today in the Church. 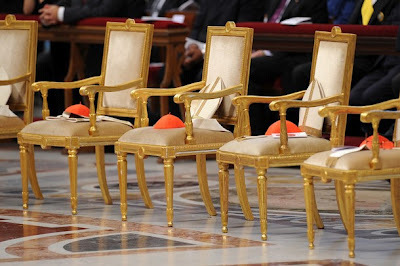 From now on, you will be even more closely and intimately linked to the See of Peter: the titles and deaconries of the churches of Rome will remind you of the bond that joins you, as members by a very special title, to this Church of Rome, which presides in universal charity. 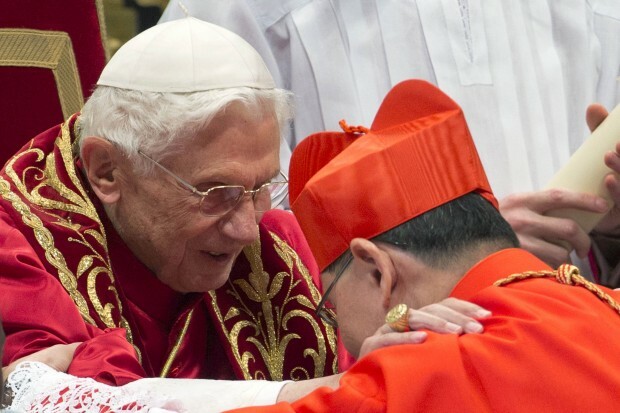 Particularly through the work you do for the Dicasteries of the Roman Curia, you will be my valued co-workers, first and foremost in my apostolic ministry for the fullness of catholicity, as Pastor of the whole flock of Christ and prime guarantor of its doctrine, discipline and morals. Dear friends, let us praise the Lord, who “with manifold gifts does not cease to enrich his Church spread throughout the world” (Oration), and reinvigorates her in the perennial youth that he has bestowed upon her. To him we entrust the new ecclesial service of these our esteemed and venerable Brothers, that they may bear courageous witness to Christ, with a lively growing faith and unceasing sacrificial love.